A museum visit can be more than ‘just’ looking at the artworks. Museum visitors have certain expectations when visiting an art museum. Some are regular visitors and find it easy to make a connection with the works. They are familiar with the conventions of art history and museum curation and are already well served by what museums do. Many however are only occasional visitors of museums, and at the Rijksmuseum these people make up 70% of the visitors. The museum has found that it cannot rely on holding the attention of this group through the conventional methods of labelling artworks and providing narrated multimedia-guides. My research brief and my challenge was how to engage these occasional visitors in a new way. We decided to go beyond the conventional idea of what the visitors’ ‘needs’ were, and instead look at what new activities we could involve visitors in when they came to the museum. These activities would take place in the museum space and would enliven the experience of looking at the artworks. 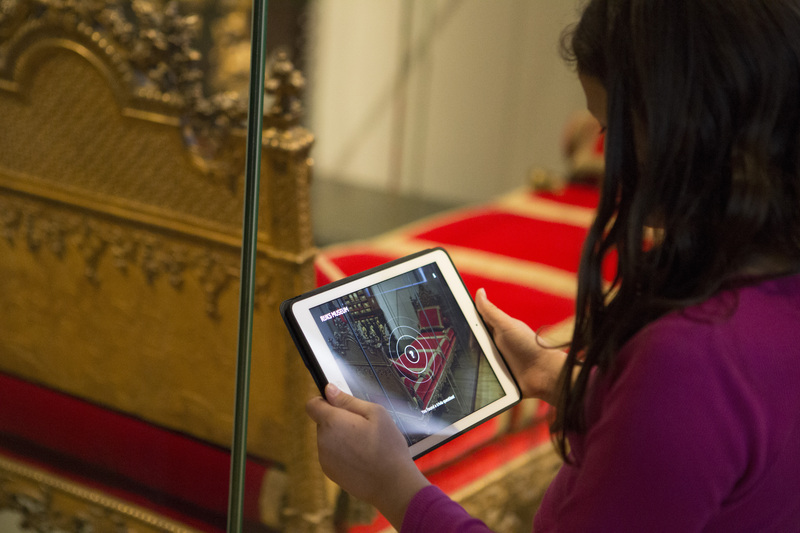 New activities channelled through an update of the Museum’s app. The new activities are channelled through an updated version of the Museum’s app. By giving visitors something new to do, we allow them to reflect on their experiences in the museum, record these experiences and share them with others. The app becomes a way of ‘discovering’ experiences, encouraging visitors to look at artworks in a different way and to notice their reactions, reactions which could otherwise go un-noticed and perhaps be quickly forgotten. The digitally mediated experience of using the app complements the physical sense-experience of moving around the museum and looking at artworks. In this way the physical and the digital are combined in a complimentary way that is only possible in the presence of the artworks. New In App Feature: Visitors can help to make the museum and the visitor experience even better! Their photographs and suggestions are sent directly to the museum. We worked on Augmenting Masterpieces for over a year and followed a mixed-method approach from Artistic Research and Design Thinking. I am glad that the results have taken the use of new technologies in museums a step forward and have opened new channels in the theoretical discourse. For Augmenting Masterpieces, I was responsible for the artistic direction and liaising directly with the client. 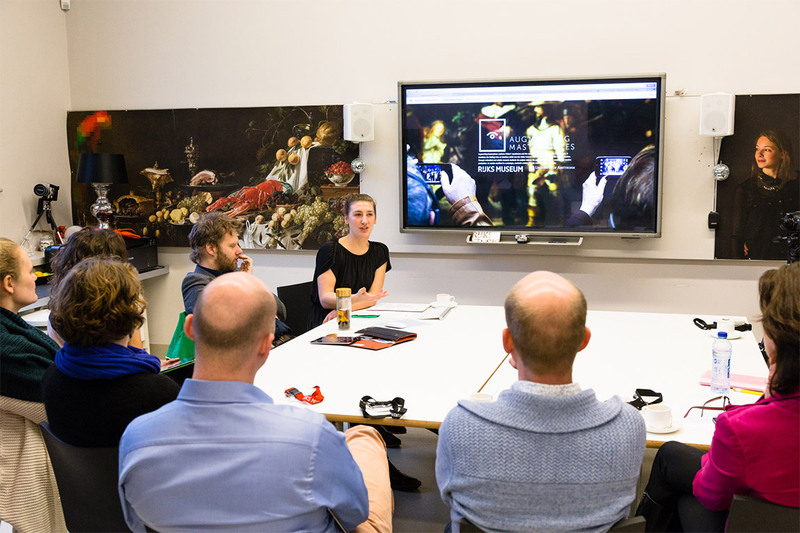 This involved ensuring that the content and its presentation was consistent with the high standards of scholarship and museology of the curators and other staff at the Rijksmusem. I coordinated the project team, developed app-features and science films and have also hosted workshops for experts both within and outside the museum. The project was shortlisted in the Best of Web Award 2015 at the Chicago Museums Annual Conference, in the categories Professional and Experimental/Innovative. It was also shortlisted at the Amsterdam Science & Innovation Award AmSIA 2015. 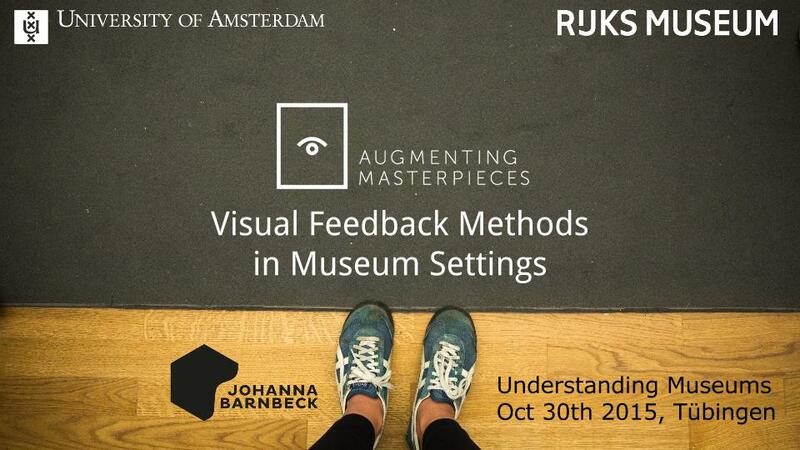 I have given talks about this project at several conferences and regularly give workshops to museum experts about the methodological approach, e.g. for the EU-funded project Museo Mundial, at the international conference ‘Understanding Museums’ and at the Museums & the Web Conference in Chicago.